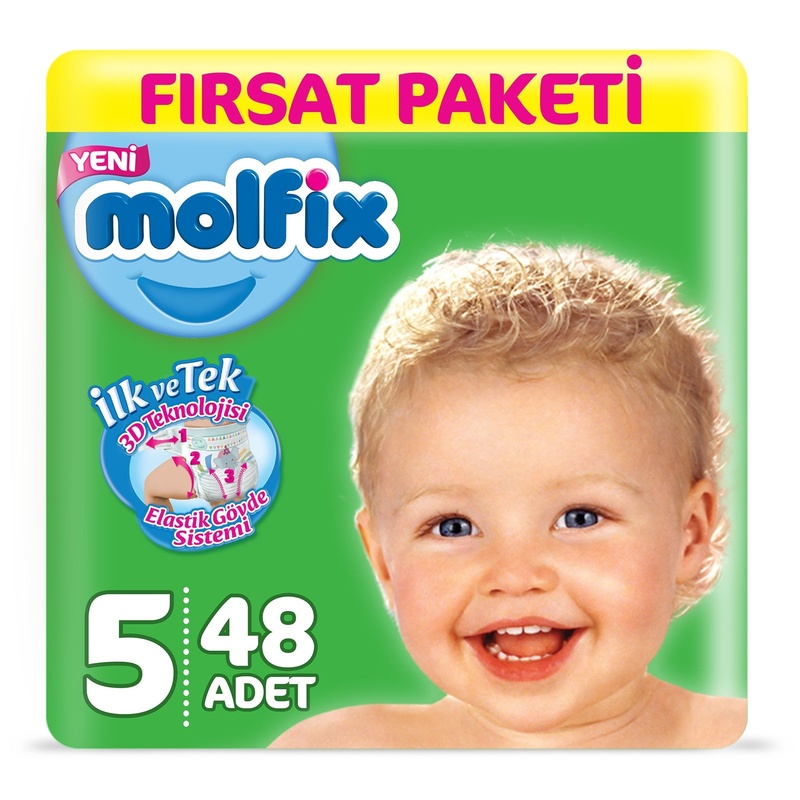 The New Molfix Comfort Fix instantly absorbs and retains any fluid and keeps the skin dry. It ensures freedom of movement thanks to its anatomical structure and elastic side bands. Also it is skin-friendly! 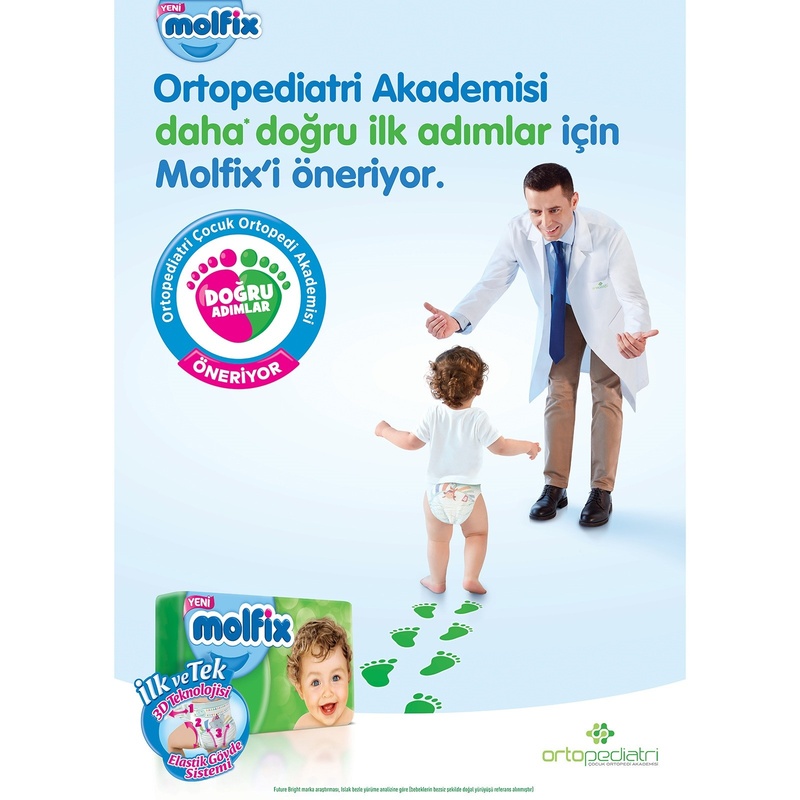 Place the diaper under your baby so that the charming Molfix designs are on the front side of your baby. The stretchy closure tapes of Molfix which are re-adjustable, never get affected from cream, powder or oil. Bond the stretchy closure tapes leaving equal space on both sides.